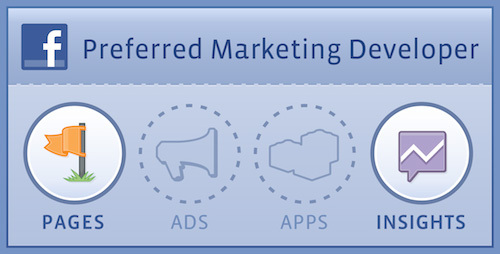 Sprout Social, our parent company and social media management provider for thousands of leading companies across the globe has been recognized as a Facebook Preferred Marketing Developer (PMD) in the disciplines of Insights and Pages. Sprout is one of 10 companies that currently hold both badges and we’re happy to join the ranks of Buddy Media, Involver, Vitrue and Wildfire in the PMD program. We’re extremely proud of the hard work our team has done to attain this status. Among other things, Sprout Social’s social media management tool offers businesses, agencies, and social media professionals the ability to generate beautiful, detailed, and exportable reports loaded with actionable data from the Facebook Insights analytics tool. 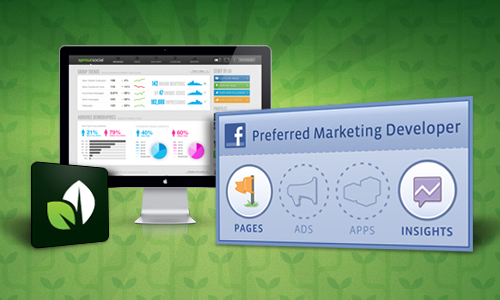 Sprout Social also provides a useful interface for publishing to your Facebook Page and engaging with fans there. The PMD Badge is awarded to developers that have demonstrated value-added capabilities in one or more of the following qualification areas: Pages, Ads, Apps, and Insights. These companies are not directly endorsed by Facebook, but have clearly demonstrated unique capabilities that help marketers scale and achieve efficiency, and extend measurably beyond the functionality of Facebook’s native tools. Companies that hold the PMD Badge are reviewed periodically by Facebook, and must demonstrate an ongoing high-standard of excellence. Stay tuned to see what we’re working on — we think you’ll like it. And if you haven’t tried Sprout Social yet, we offer a free trial with all the bells and whistles. Let us know what you think.